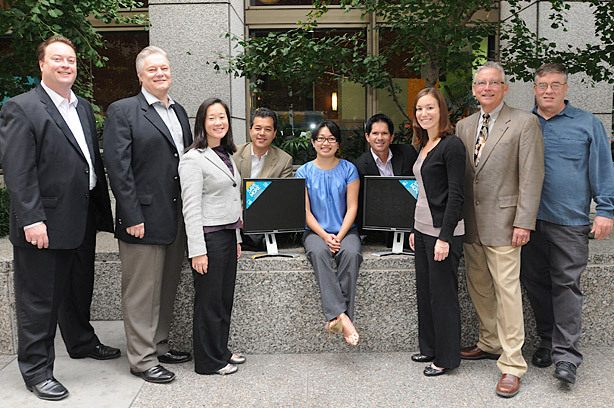 PG&E’s Richard A. Clarke Environmental Leadership Awards are an annual recognition opportunity that honors PG&E employees whose efforts demonstrate exceptional environmental leadership. In addition to recognizing the finalists in a ceremony with PG&E’s senior executives, the company makes a financial contribution to an environmentally-oriented non-profit organization selected by the award recipients. Now in its ninth year, the competition showcases the breadth of PG&E’s environmental commitment. In 2010, employees from across the business were nominated, representing initiatives as diverse as our 500 MW solar PV program and one of the largest cold-water salmon and steelhead restoration efforts in North America. 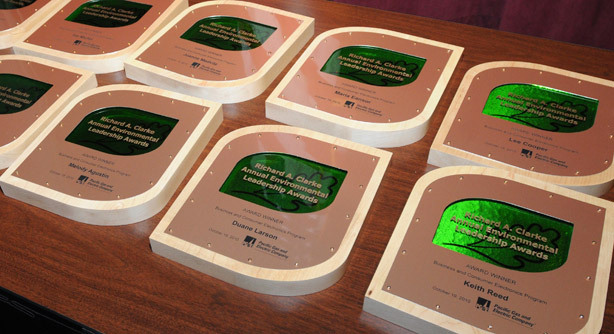 The 2010 awards went to an individual and a team of employees. Jim Nelson was a motivational force in identifying and implementing environmental measures in PG&E’s East Bay facilities. 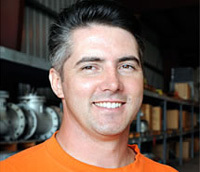 Going above and beyond his normal work duties as a Lead Building Mechanic in Corporate Real Estate, Jim has taken recycling and energy and water conservation to a new level. Jim has shared best practices with the community, gained recognition for PG&E from local governmental agencies, and has successfully garnered grants from Stop Waste of Alameda to help fund operating and startup expenses for PG&E’s East Bay recycling programs. The Business and Consumer Electronics Program team launched a first-in-the-nation program to address the growing energy load from electronics. This cross-functional team works with top electronics retailers, original equipment manufacturers and nonprofit and governmental organizations to strengthen the use of energy-efficient electronics and specifications and to educate customers about the benefits of energy-efficient products. Their innovative efforts are not only shaping the market, but also leading other utilities nationwide to design effective programs. In addition, the program has created significant opportunities for PG&E customers to save energy and reduce their greenhouse gas emissions. From left: Tim Michel, Duane Larson, Joanne Medvitz, Lee Cooper, Melody Agustin, Keith Reed, Sarah Bresko, Peter Knoot and Steve Blanc. Not pictured: Maria Eansor.